Remove built up wax from your board the safe, easy, and non-toxic way. 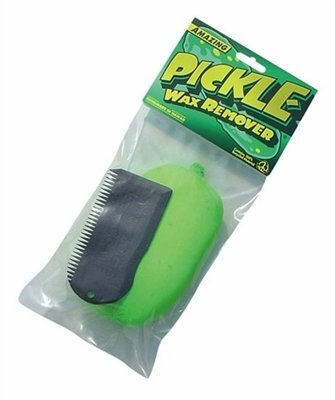 Simply scrape your board with the wax comb included, then rub the board with your Pickle to clean up the rest of the residue. 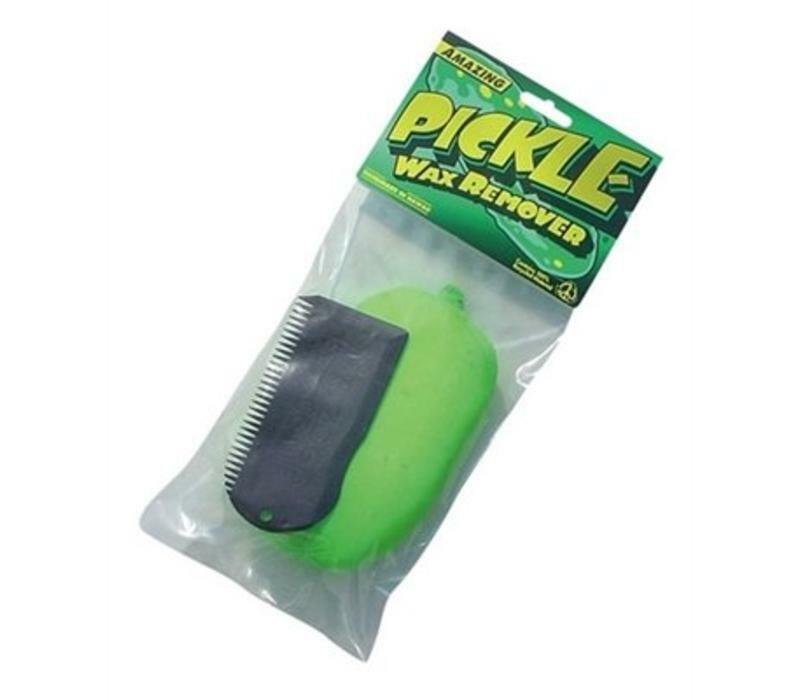 The Pickle is reusable, and the dirtier it gets, the better it works!